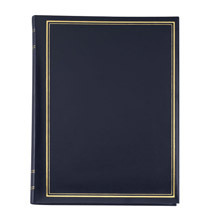 Choose this impressive Presidential personalized memo album when you want to create photo collections the whole family can enjoy during holidays and special occasions, or just when the mood strikes. 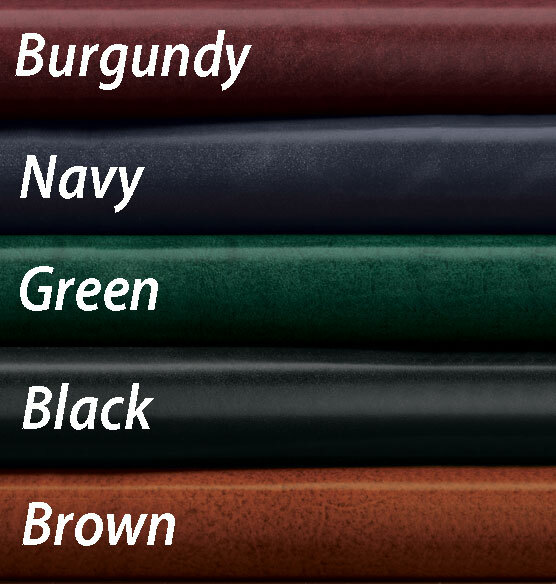 This album has a cover made of quality leather, which comes in a variety of rich, classic color hues. Gold tooled borders only enhances its luxurious appearance, and so does the nice detailing on the spine. To make it unique, add your own text to the front cover, which also appears in rich gold. The memo section is ruled for convenience. I have ordered this album before and it is beautifully made and of good quality. We have used these for years--they are a beautifully traditional way to organize our family memories! BEST ANSWER: Thank you for your question. 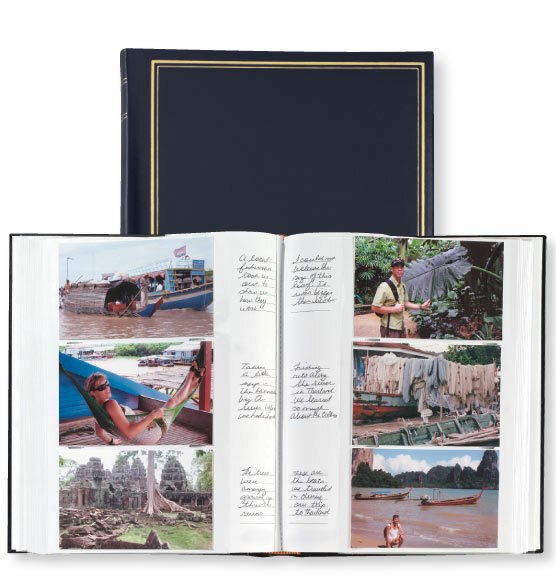 This item has 50 book bound pages that hold 3 horizontal 4" x 6" photos per side, 6 per page. We hope this information will be of help to you. Can you add or take out the photo pages? We are using this to insert 4 X 6 cards with notes as a tribute to a departing member of our department. If we don't get enough responses, we want to take out some of the photo pages. BEST ANSWER: Hi there. You cannot remove pages from the album. The pages are glued in like a regular book. Maybe you could put the index cards in the front pages and then fill any remaining pages with pictures from work or maybe a bunch of silly selfies of your co-workers holding signs saying nice things or saying goodbye or we'll miss you. That sort of thing. It is a nice album. Thank you for your question. 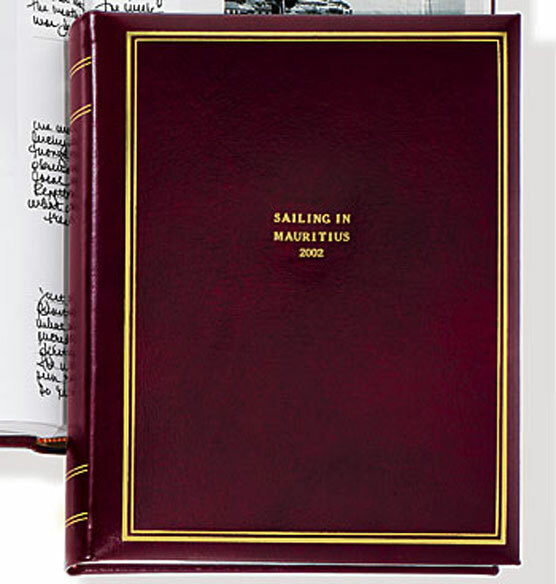 The pages are bond into the album and are not removable. We apologize for any inconvenience. No, you can't take any pages out (but it's a very nice album!). How are the photos held to the page? Are there plastic sleeves, or do you need to glue them to the page? BEST ANSWER: There is a plastic sleeve on 2/3 of the page where the photos go. The sleeve does not extend over the "memo" part where you can write about the pics. It's a really nice style of photo album. My only complaint is sometimes the end papers seem to lift around the edges. There are plastic sleeves that you slide the photo in. Three photos per page. is it possible to order this no personalized before I spend this much money -- so I can be sure it is what I want and return it if not? BEST ANSWER: Thank you for your question. Once you click on personalize it will take you to another screen, you can then check the box that says, "I do not want to personalize this item". As long as the item in not personalized you have 45 days from the day it ships to return it. We hope this information will be of help to you.